Have you suffered an injury work, on the road or in a public place in Tunbridge Wells? Was the accident caused by somebody else? You may have a case for compensation. Our Royal Tunbridge Wells solicitors team specialise in claiming financial remuneration for anyone in the county of Kent who has been a victim of another party’s negligence. If you’ve been hurt in an accident that wasn’t your fault, you have the right to legally claim the compensation you need to help you to recover from your injuries. I’ve Been Injured In Royal Tunbridge Wells And It Wasn’t My Fault. What Next? Give us a call on 0800 073 8804. Our personal injury solicitors can listen to your case and talk you through the process, carefully explaining the legal procedures in plain, simple language completely free of jargon. We can help you claim compensation if you’ve been injured and it wasn’t your fault and give you access to the justice you seek as well as the compensation that you deserve. All types of different injuries can be sustained in a working environment, be it from common accidents like falls from height and malfunctioning equipment, to more obscure accidents such as tainted food that leads to food poisoning or a hazardous environment causing infection. If you’ve been hurt at work in Tunbridge Wells, Kent, our personal injury solicitors can help. Traffic accidents in Kent are extremely common in the modern day and often involve many different people – from drivers, to passengers, to pedestrians. If you were affected by a car crash in any way, you can speak to our personal injury solicitors who will investigate the incident and determine the liable party who ought to pay you compensation. The hustle and bustle of public transport can often lead to accidents occurring – especially during peak times where everyone is under pressure. If you’ve been hurt whilst on board a train or bus or other form of public transport, our team for Tunbridge Wells personal injury solicitors can look into the incident and determine whether you have a viable case for compensation. Sports events – such as football fixtures – can often lead to accidents that may cause injuries. If you’ve been hurt as a participant in a sporting event or as an innocent bystander, we can help you to claim compensation for your injuries. All business are responsible for ensuring the premises on which they operate are safe and secure for anyone passing through. If you’ve hurt yourself on any type of business premises – be it a corporate building, shop, restaurant or bar – our legal team can find out if you are eligible for compensation. How Can Making A Personal Injury Claim Help Me? Injuries come in a wide variety of shapes and forms, and you may be forced to pay for medical treatment in order to recuperate from your accident. This may be something as simple as a regular prescription, or something more serious such as surgery or rehabilitation. Making a claim with our personal injury solicitors gives you the opportunity to get the money you need to pay for these costly medical expenses. 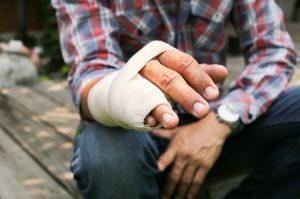 Even minor injuries can keep you out of work, which, depending on your profession, may lead to you missing out on a considerable amount of money. By making a claim, you can get the money you would have ordinarily been paid from work if you hadn’t been injured. A traumatic accident can affect you in all kinds of different ways, and having the financial support to deal with any unexpected arising issues is essential in order for you to completely recover from this experience. By making a claim, you can get the money required to keep you financially stable for the foreseeable future. Does The Claims Process Take Long? It all depends on the nature of your specific case. Some claims can be settled in weeks, whereas others may take longer. There’s no way of telling how long a case may last on first glance, but once the procedure has gathered momentum, our team for Tunbridge Wells personal injury solicitors will be able to estimate how long it might take for you to receive your compensation. If you need any help retrieving this evidence, just ask our legal team. They will be more than happy to assist you in any way they can and help you to access the justice and compensation that you are entitled to. Before making any accident claims through personal injury solicitors in Tunbridge Wells we would advise you to go over their terms and conditions to make sure you understand exactly what fees you may be facing. We charge nothing at all upfront. We operate on a No Win, No Fee basis, meaning you never have to pay any money for our legal services before your case is won as we take a percentage of the compensation payout instead. There are no hidden fees anywhere along the way. If you’ve been injured in an accident that wasn’t your fault, speak with our Royal Tunbridge Wells personal injury solicitors team today on 0800 073 8804 to see how much compensation you could receive. It could be the best decision that you ever make.